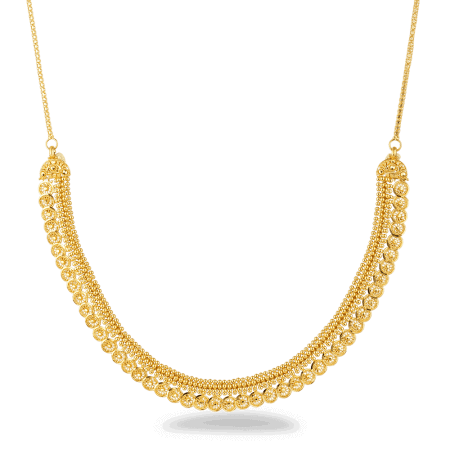 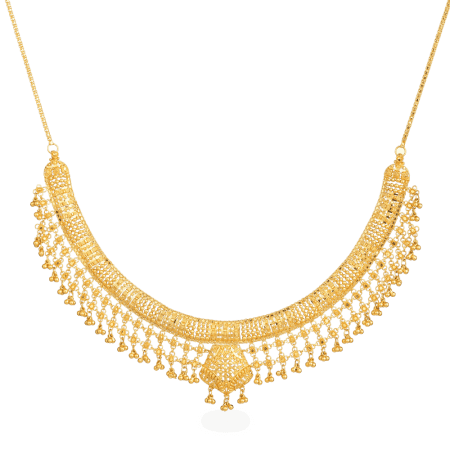 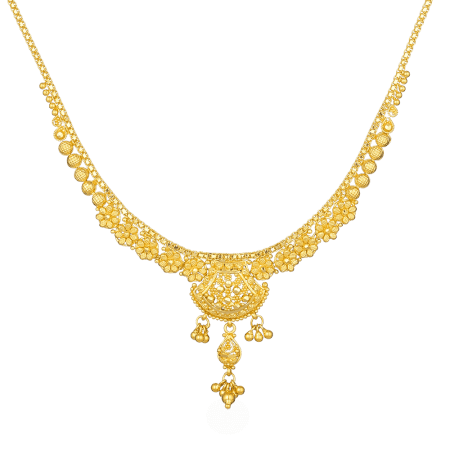 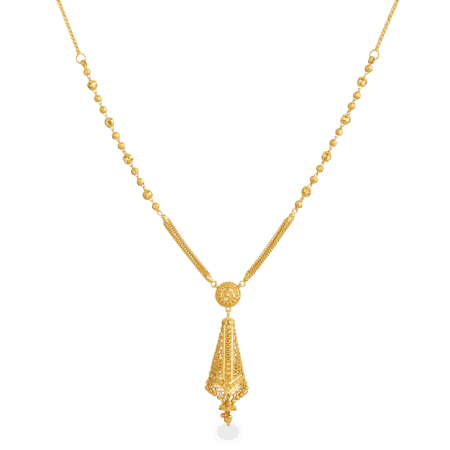 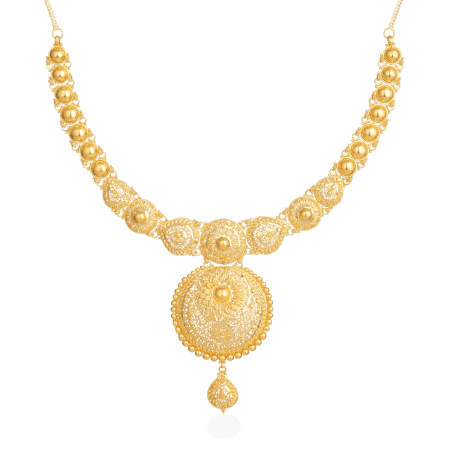 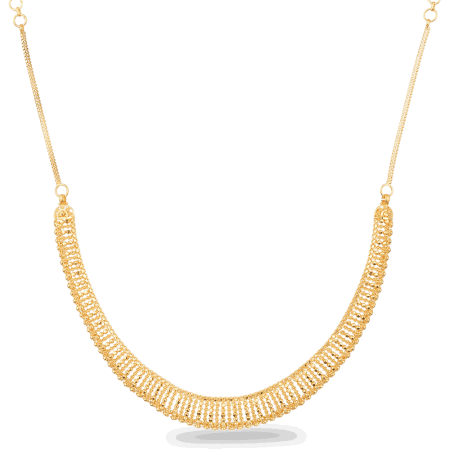 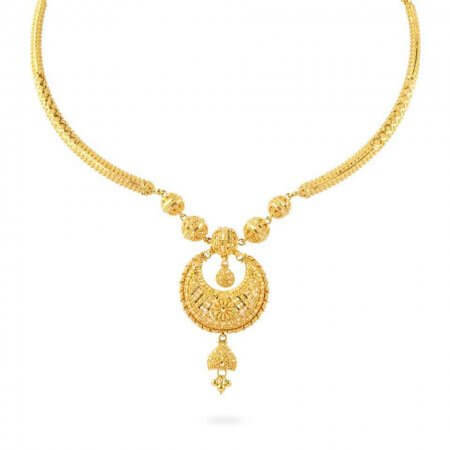 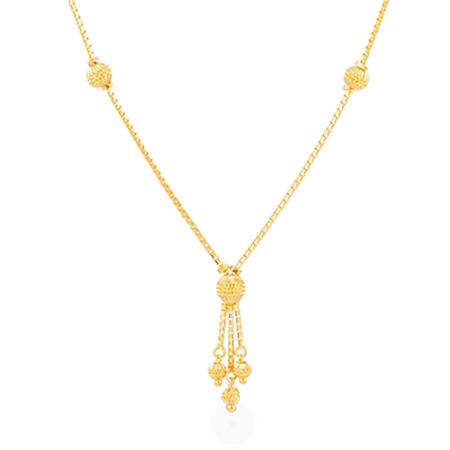 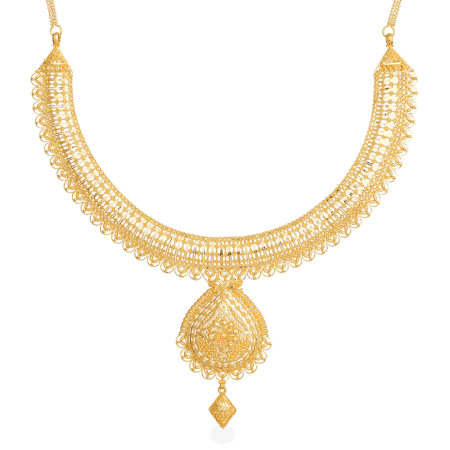 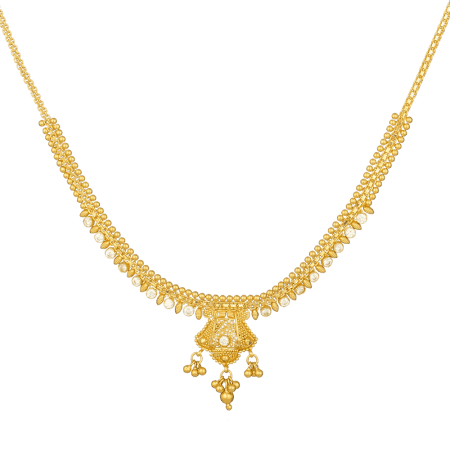 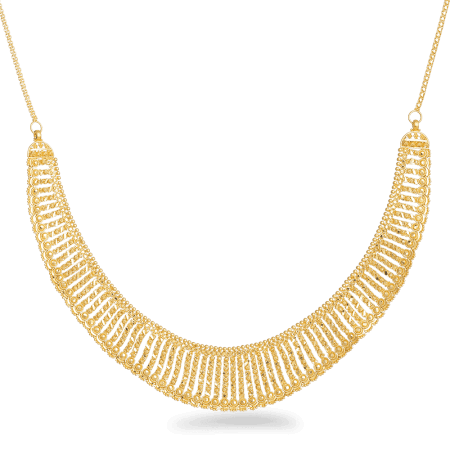 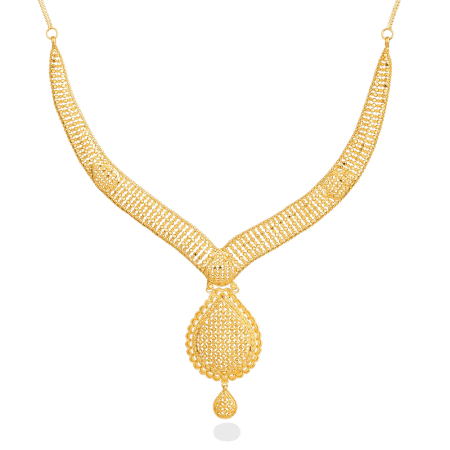 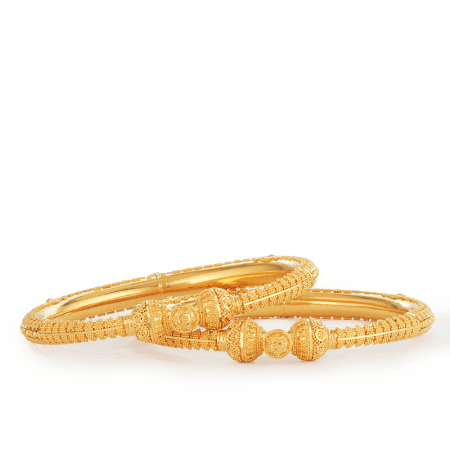 Fusing classic Indian design with the beauty of 22ct gold, this collection is perfect for significant gifts. 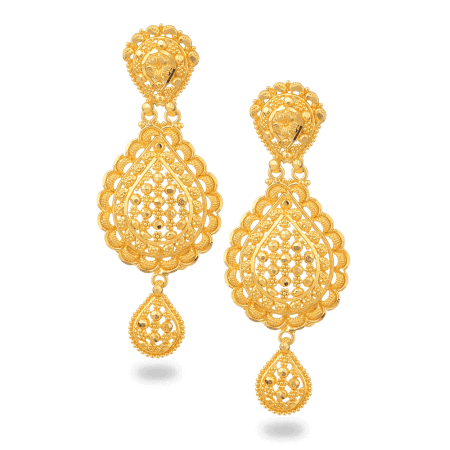 Jali is characterised by elegant detail and intricate filigree work. 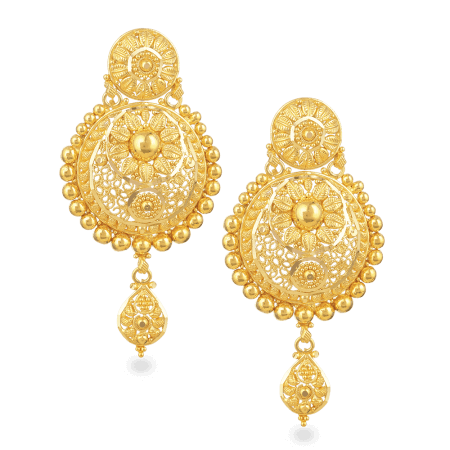 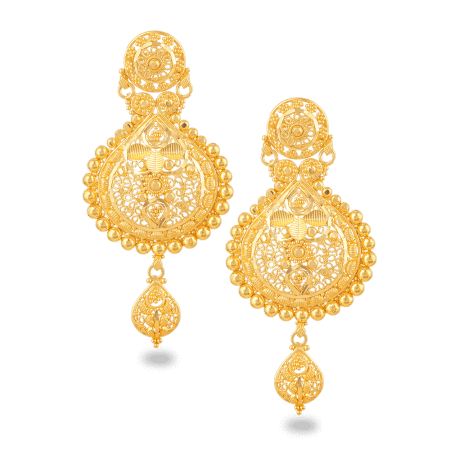 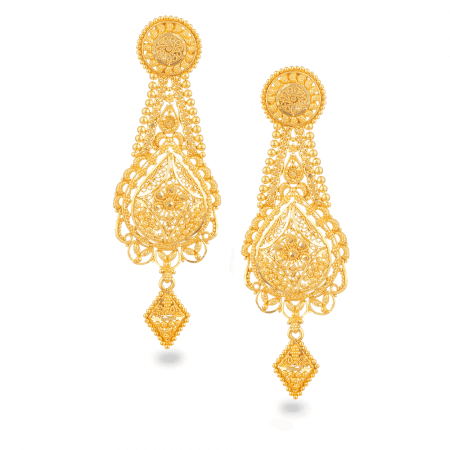 Loaded with eye-catching filigree, Jali is very Maharani. 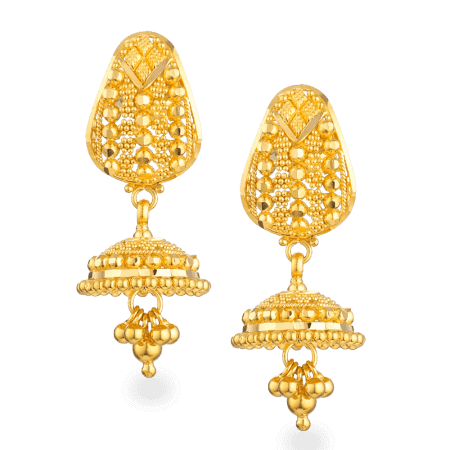 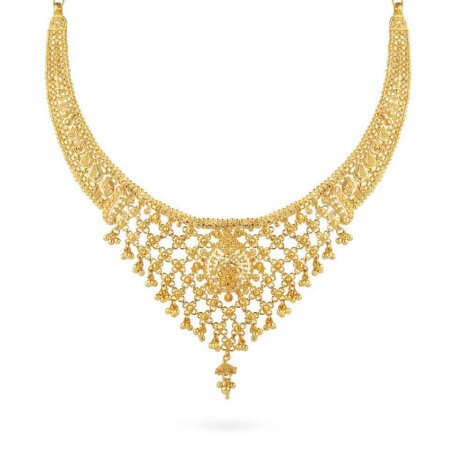 Our designers took inspiration from the history of Indian jewellery. 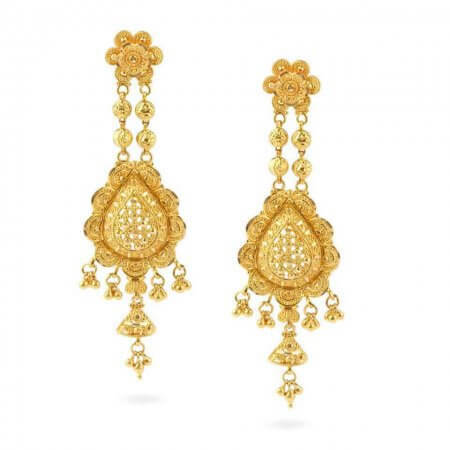 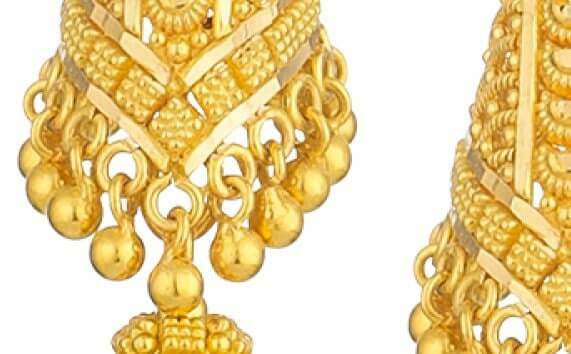 They looked at the way that jewellery plays a part in life – whether as a symbol of status, the outpouring of love, or an insurance policy – and designed pieces that are perfect for big occasions. 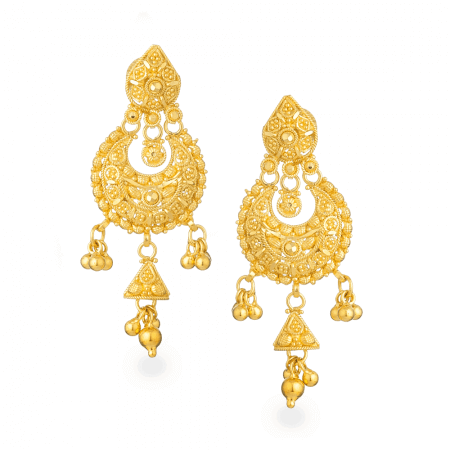 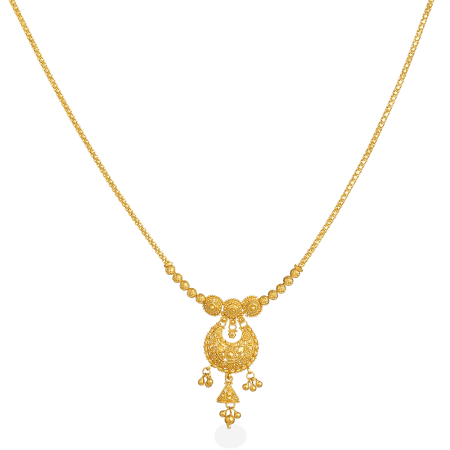 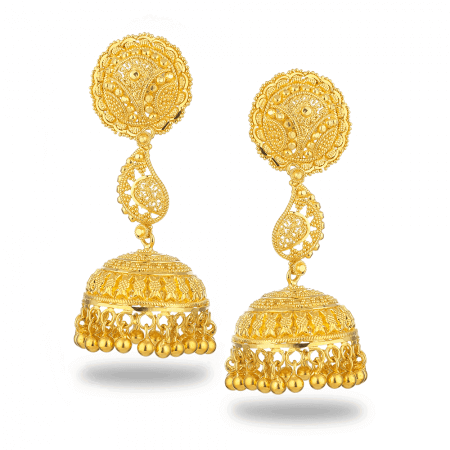 Jali Indian jewellery is a favourite among brides and wedding guests. 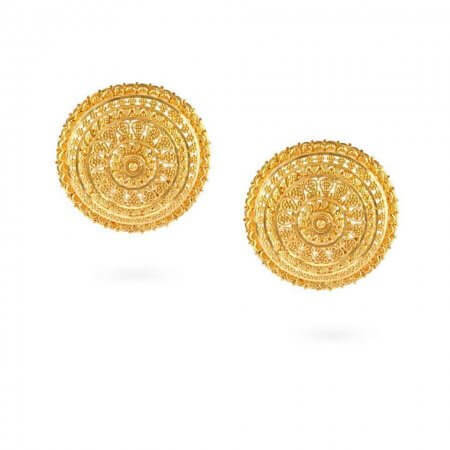 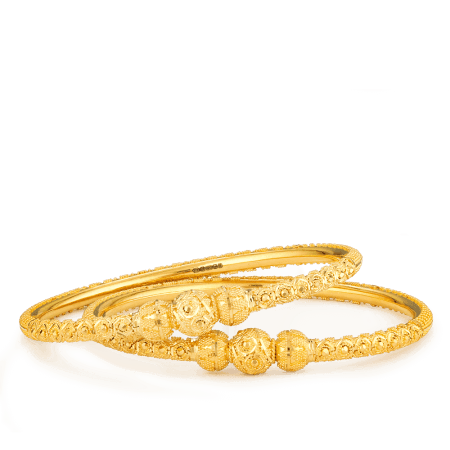 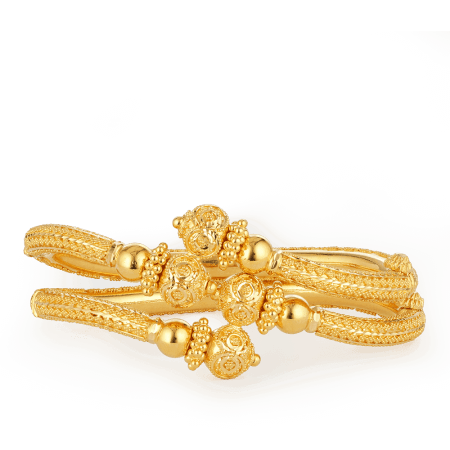 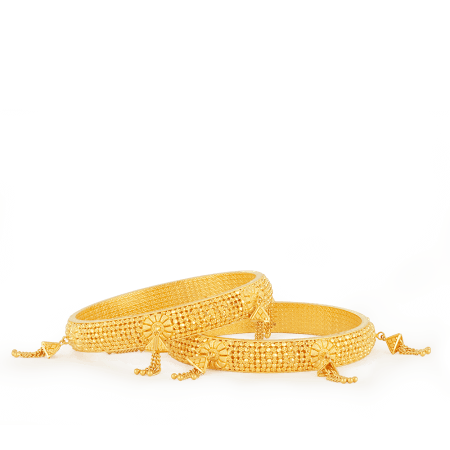 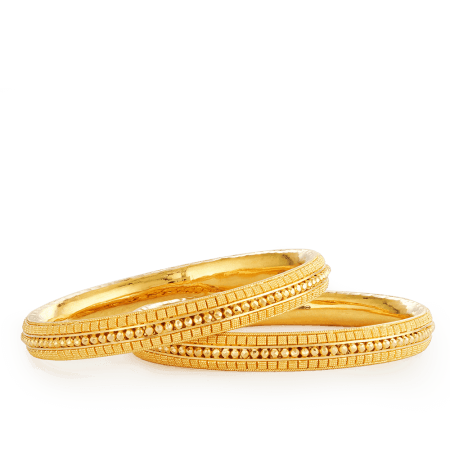 Fashioned from 22ct gold with remarkable attention to detail, these are pieces that will become part of an inheritance. 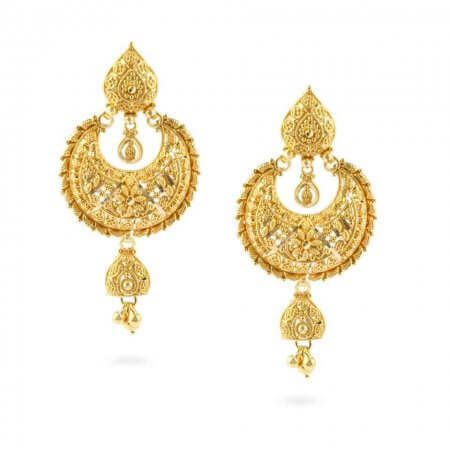 in this collection are gorgeous statement-pieces. 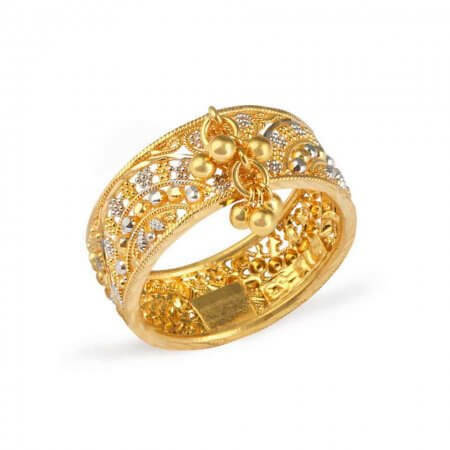 This spiralling ring exhibits amazing detail, with turn upon turn of exquisite 22ct gold and tiny faceted beads. 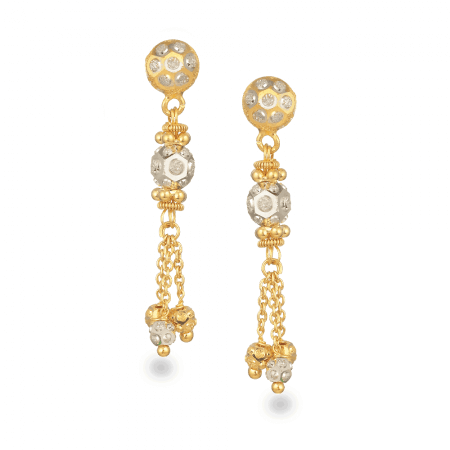 It’s quite contemporary and works well with modern taste, so it will see a lot of weekend wear. 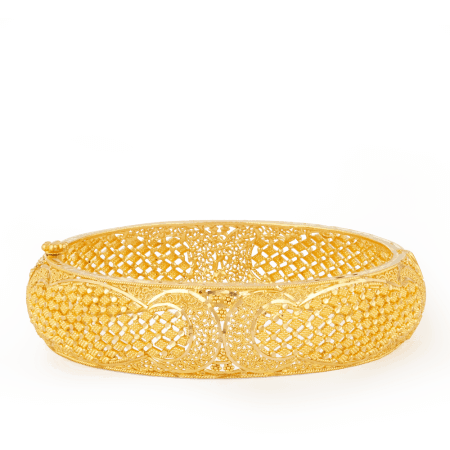 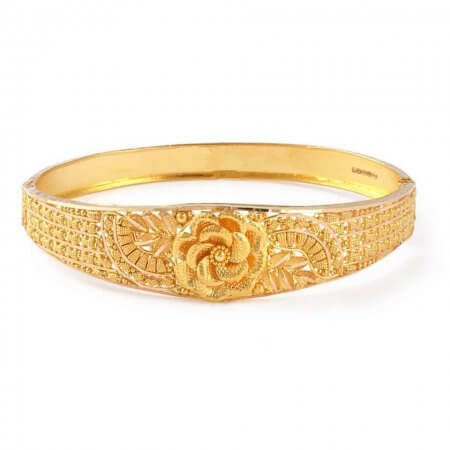 More traditional are the Filigree gold bands, like this one accented with rhodium plating. 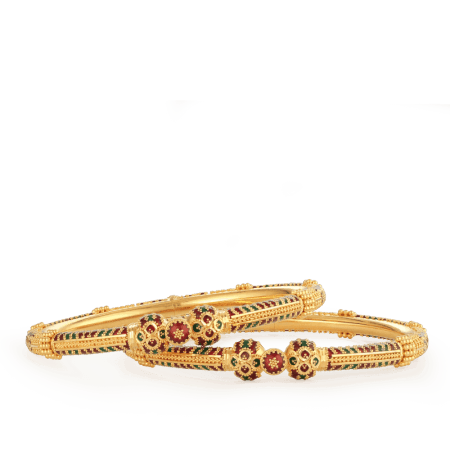 The look is classically Indian and ideal for adding a cultured twist to an outfit. 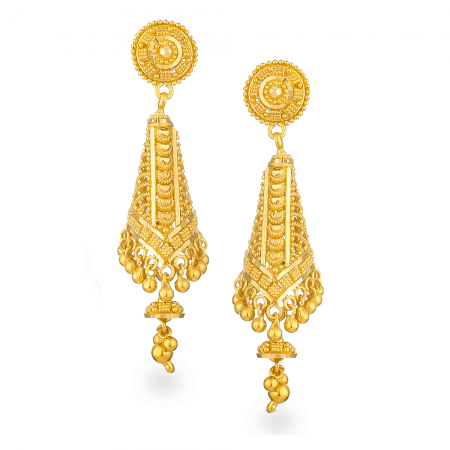 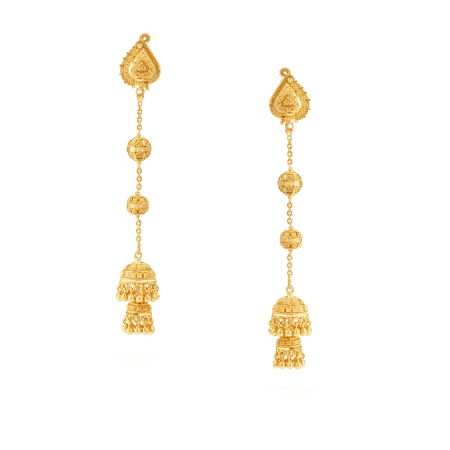 If the person for whom you are buying loves wearing earrings, there are some beautiful choices in the Jali collection. 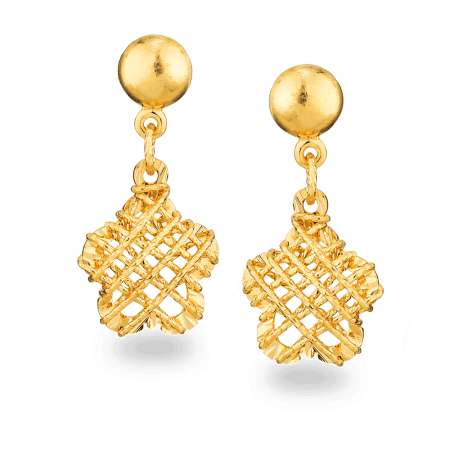 Fine 22ct gold is fashioned into elegant star-shaped lattices, with a handcrafted look – or, for the purist, our filigree pendant earrings could have come straight out of an antique auction. 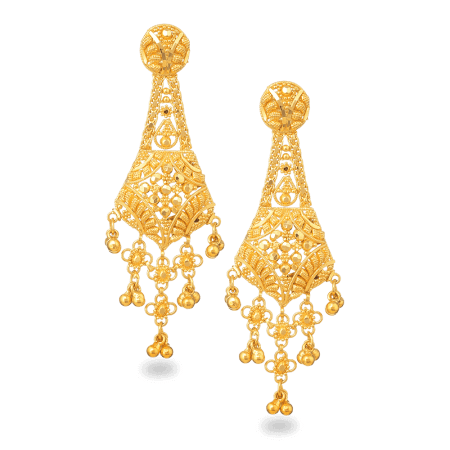 The level of detail is extraordinary, but the finish is light and lovely. 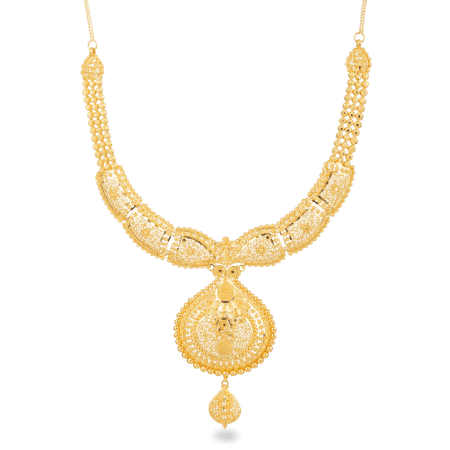 For more of the traditional style, but brighter colours, uncut diamonds and different techniques, browse our Kundan Indian jewellery. 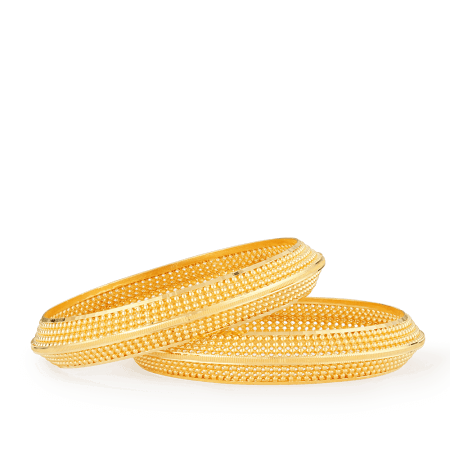 Want something fresher or simpler? 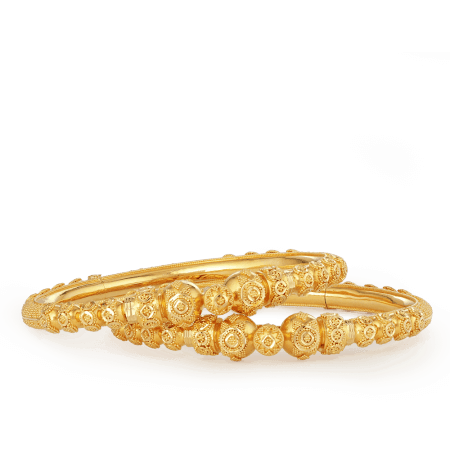 In platinum and white gold, our Luminous collection hints towards an exotic past – but the design is firmly in the 21st century. 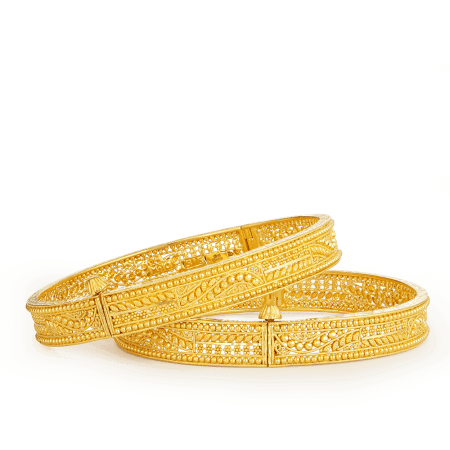 Or choose our popular 22ct gold Sparkle collection, which puts a modern spin on Indian classics with lots and lots of glitter – perfect for parties!